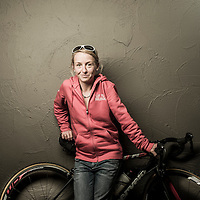 Portrait series of professional cyclist Emma Pooley. 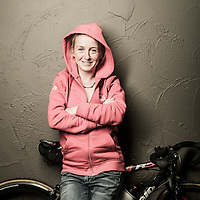 Emma Jane Pooley (born 3 October 1982) is an English professional sportswoman; predominantly a cyclist specialising in time trials and hilly races, Pooley won an Olympic silver medal in 2008. 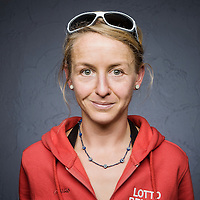 Professionally Pooley rides for Lotto-Belisol in 2014. 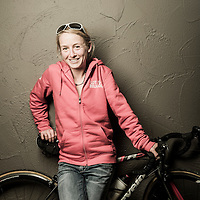 Pooley was the 2010 World Time Trial Champion and is a former British Road Race and Time Trial Champion. 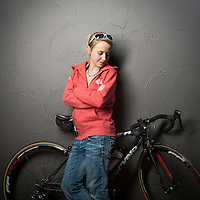 Photos made by Ezequiel Scagnetti on behalf of Fotogloria agency / Tour Magazine.